Brennan’s Florist provides floral and gift services for weekly and corporate clients. Weekly deliveries of flowers can enhance any lobby, office or reception area. Whether you are looking for simple or dramatic designs, fun or elegant, Brennan’s individually creates distinct arrangements giving you a unique design each week. We offer you New York City Designs at Jersey prices with only 3.5% sales tax. For corporate clients, we waive local delivery fees. 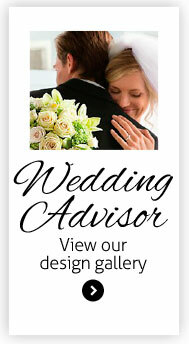 We also offer free on-site consultations in your home or business to truly grasp your décor and sense of style. For your convenience, we also offer a plant service. 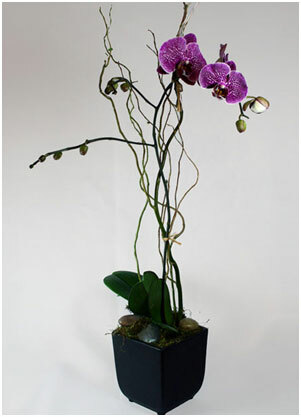 We will provide an orchid or exotic plant in one of our unique containers for your office space. 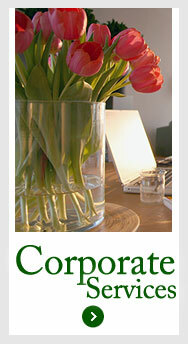 As the horizons of the business world continue to expand, flowers are becoming an increasingly important business tool. That's because they say something special about you and your company, in any language. Flowers are the perfect way to express your sympathy, thank an employee or client, welcome a new partner, close a deal and congratulate an associate or simply to say, happy birthday, get well - any occasion that calls for the human touch. Contact us at 201-876-0580 or brennansflorist@aol.com so we can visit your space and provide unique and creative ideas that will enhance your environment.